Are you looking to bring serenity and nature into your garden? Our hexagon shaped gazebo creates a lovely seating area and brings serenity into your space. Crafted from unpeeled wood logs, sinuous branches wind their way around the structure adding warmth and interest. The cracked concrete steps and base add to its rustic appeal. In the package, you will find 5 separate objects. 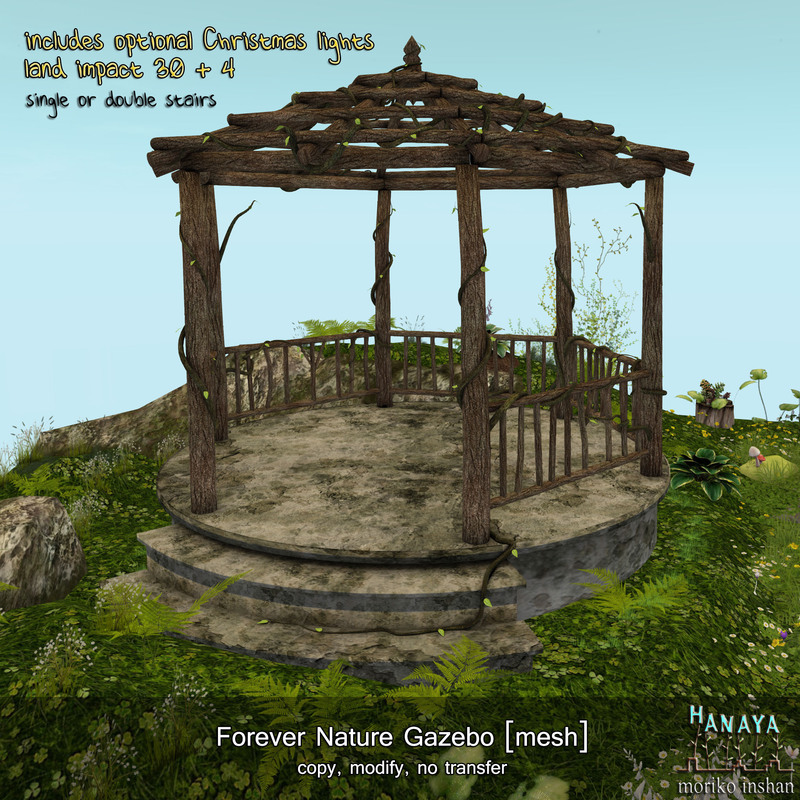 The gazebo is provided in 2 types – with one set of stairs and with 2. Both have a land impact of 30 PE. With the optional lights/floor snow linked, each gazebo is 34 li. Also included is just the set of lights and floor shadow. This entry was posted in Product Announcements on February 23, 2017 by moriko.